Curious or aspiring to join one of the FAMGA (Facebook, Amazon, Microsoft, Google, Apple)? Itching to network with amazing people? Or simply missing your FutureLab community, fellow mentee and mentors? 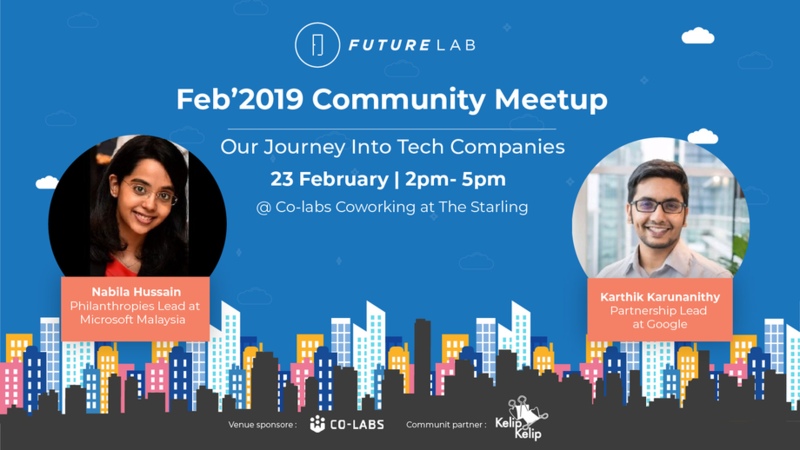 Join us at FutureLab's February Community Meetup! We've lined up 2 speakers who will share their journey into their roles at 2 FAMGA companies respectively. If you are new to FutureLab, sign up under "public"
If you are a FutureLab mentee, sign up under "mentee"
If you are a FutureLab mentor, sign up under "mentor"
If more than 1 ticket type applies to you, please choose one. Would you be keen to try out our FutureLab portal for your company/institution? What company/institution are you from? What is your role at the company/institution?